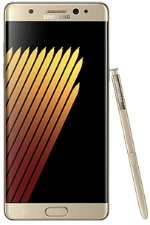 The Samsung Galaxy Note7 comes with a 5.7-inch Super AMOLED display panel with a resolution of 1440x2560 and 518ppi density. Powering the device from within is a Quad-Core 2.15GHz Qualcomm Snapdragon 820 processor with 4GB of RAM and the Mali-T880 MP12 GPU. 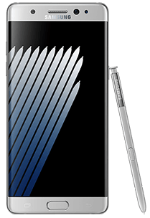 Aside from the 64GB internal storage, the Samsung Galaxy Note7 comes with a microSD card slot for up to 256GB memory expansion. Camera-wise, the phone is equipped with a massive 12MP rear-facing camera with 4K video recording and a 5MP front-facing camera. 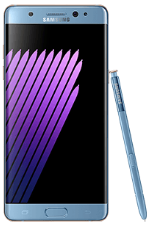 The Samsung Galaxy Note7 packs in a non-removable Li-Ion 3,500 mAh battery with fast battery charging and Qi/PMA wireless charging support. Upon release, the phone runs on the latest Android 6.0 Marshmallow OS. Color options include Black Onyx, Blue Coral, Silver Titanium, and Gold Platinum. The phone includes a Stylus, fingerprint sensor, an iris scanner, Samsung Pay. It has also gained an IP68 certification for dust proof and water resistance over 1.5 meter and 30 minutes. The last Samsung 'Note' device was the Galaxy Note 5. 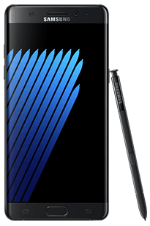 Is the Samsung Galaxy Note 7 the best Android smartphone ever? Hands-on with the Blue Coral Samsung Galaxy Note 7. Allo is Google's brand new messaging application that features artificial intelligence and machine learning to cater information directly to you based off what is being conversed in your chats. Top 10 Android Apps of September 2016! We've compiled a 'Top 10' list of our favorite Android apps to hit the Google Play Store in September 2016. Samsung has officially ceased production of the Samsung Galaxy Note 7 after several users reported self-destructing batteries that posed serious safety concerns.